When looking for ways to make your wedding unique, why not turn to some local Chicago artists? A great way to connect with these talented folks is to visit the popular website Etsy. In case you’ve been living under a rock, Etsy is a website focused on selling a wide range of homemade and vintage items. Including items that are perfect for your wedding day—customized napkins, stationery items, gifts for your bridal party, wedding favors, etc. 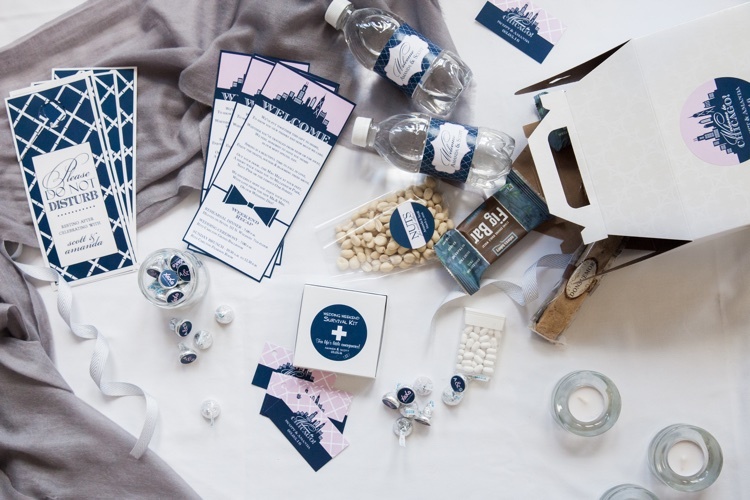 Invited to a wedding and don’t know what to get the happy couple? Etsy is a great spot to inspire your gift-giving side as well. Find a gift that you will be proud to give the newlyweds. 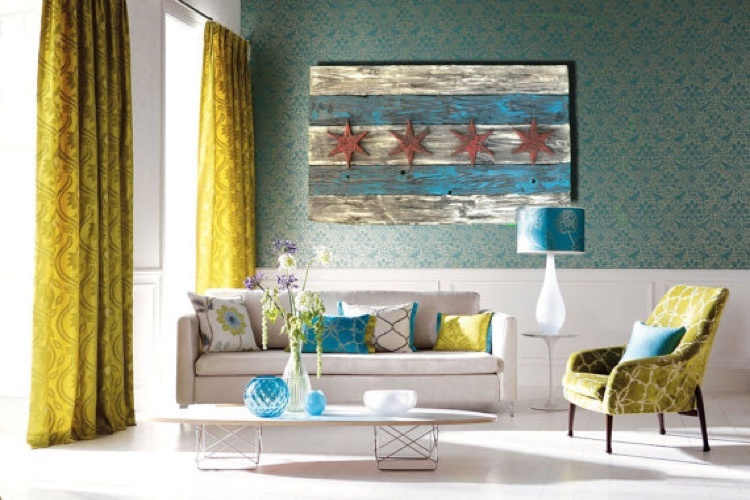 Today we are spotlighting a few of our favorite Chicago-based Etsy storefronts. We highly encourage you to browse through all the talent below and support a local Chicago artist whenever possible, especially while planning your wedding. We love the work by Chris Knight Creations. You’ll find true pieces of artwork that can last well beyond your wedding day. 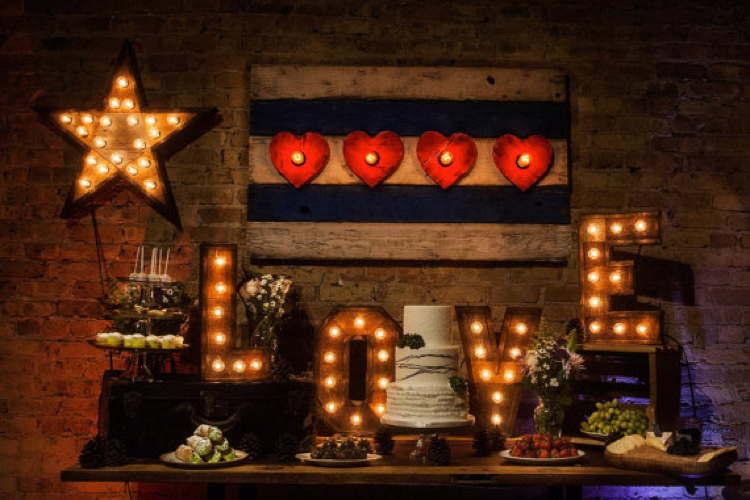 The gorgeous Chicago flag marquee as the backdrop to your dessert table will surely impress. Afterward, it can easily transfer to any room in your home. If you’re looking for more of a statement piece, the work above would be perfect—pass the hint to your guests that you’re eyeing up these beauties. 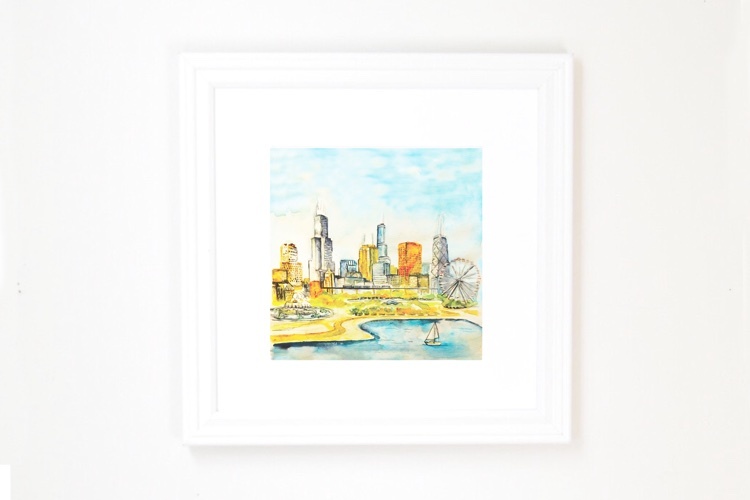 This gorgeous Chicago skyline painting could be used as a twist on the traditional guest book. Ask your guests to sign their name on the mat surrounding the print. This would be a guestbook that would live in a place you could see every day, not one that gets shoved in a drawer or left on a bookshelf to collect dust. No reason the groomsmen shouldn’t get a little bit of the attention on the big day. 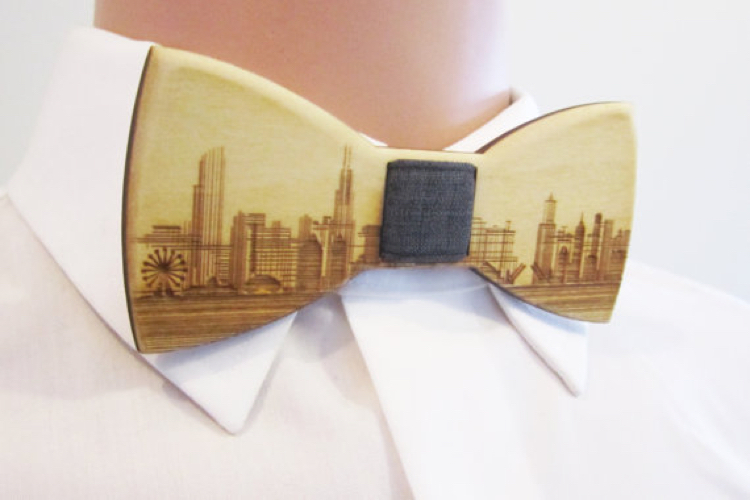 Here is a great way to do just that—take a peek at these wooden bow ties. We LOVE them. Each tie is custom-designed, including the color of fabric for the center to perfectly match the day. It doesn’t get much more Chicago than deep-dish pizza. 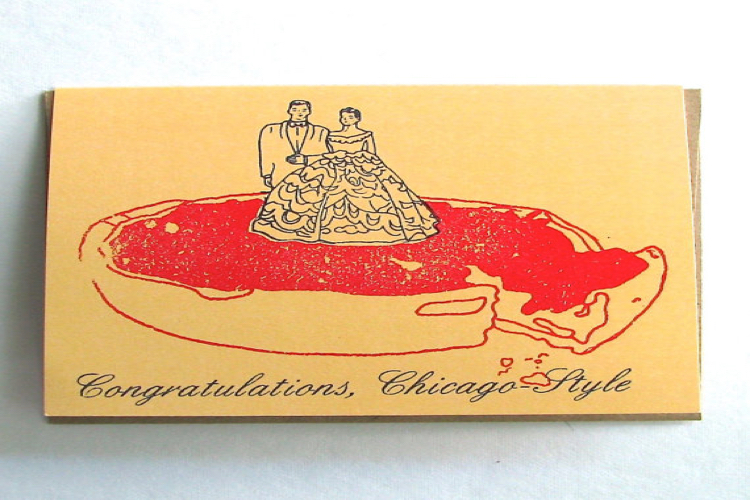 So, when heading to celebrate your friends’ union, be sure to take a card that expresses your joy, your love for them … and your love of Chicago deep-dish. And then pray that there will be a late-night snack at the wedding that consists of Chicago favorites—including pizza! Your guests will be traveling from near and very, very far, and it’s important that you show them your gratitude. One way to do so is to have this incredible, Chicago-focused welcome box waiting in their hotel room when they check in. Be sure to include a map of the city, a list of a few of your favorite things to do in Chicago and, of course, some necessities to survive the weekend (water and Advil)! Besides getting to spend the rest of your life with your chosen one, the secondary benefit of getting married is your gift registry—a time to upgrade your sheets and towels and get some knives that actually cut. While you’re at it, why not score a new set of mixing bowls? 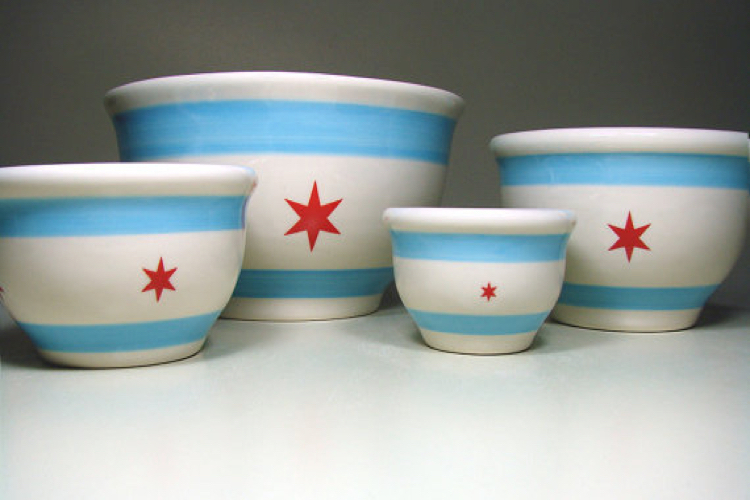 Pretty sure you’re not going to find any bowls better than these. 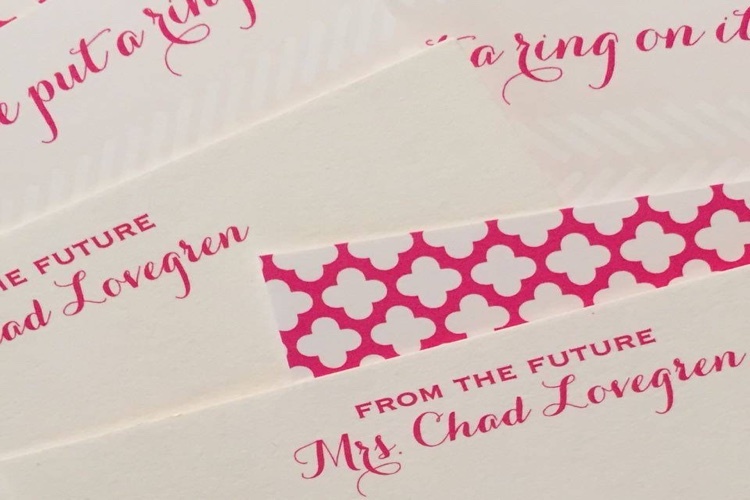 These are adorable—notes from the future bride! A sweet way to ask your girlfriends to stand by your side on the big day (or to write them an “I’m Sorry” note when you accidentally have that one, short moment of bridezilla-ness). You’re getting married in Chicago—only the best city there is! 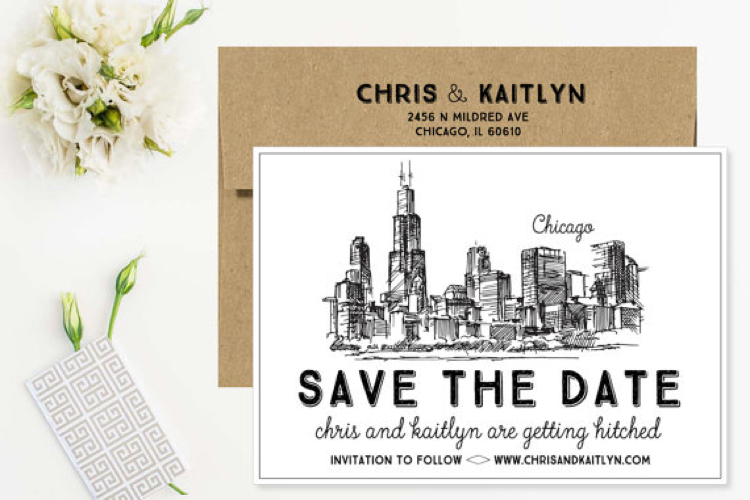 Start getting your guests excited right away with these amazing skyline save-the-dates. We love all the detail that Letter Loft Prints included in this print. Your bridesmaids were there for you when you were single, they have been supporting you through the entire planning process, they bought the dress you picked (that they will never wear again). So, be sure to show them how much you love them and appreciate all they’ve done. 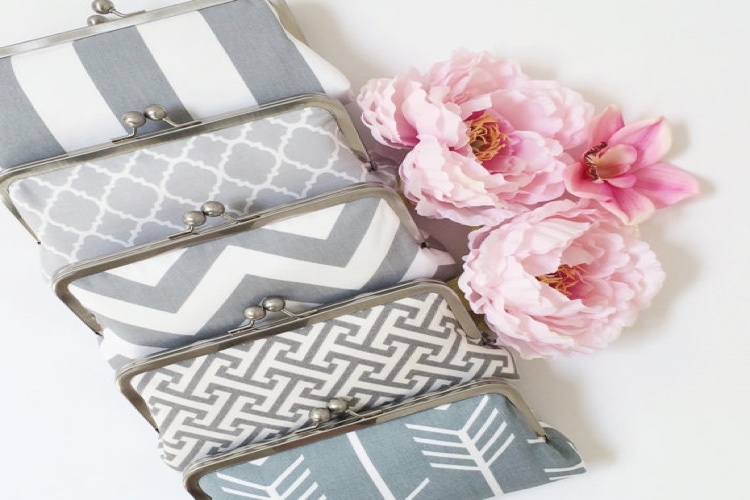 These customized wedding clutches are the perfect way to do just that (and show off your great sense of style). You both live for the Hawks. You have season tickets to the Bears games. One of your first dates was going to see the Cubs at Wrigley. No matter what team has your heart, there are plenty of ways to showcase that love on your wedding day. 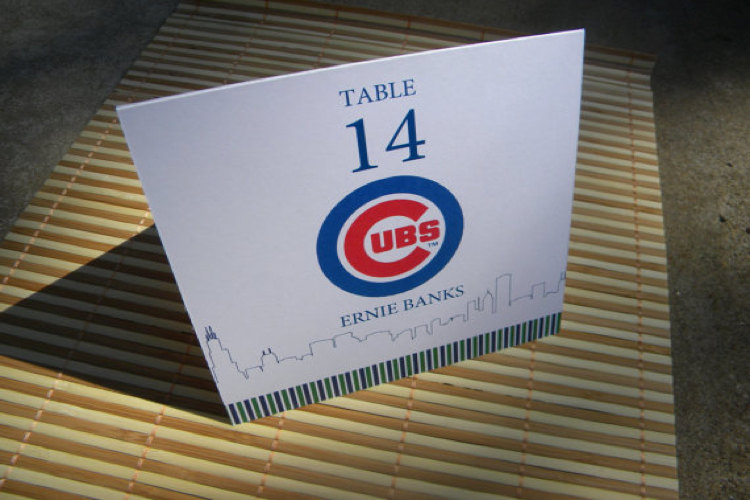 We think these Cubs table number tents are a great way to do so. Now it’s time to get shopping! We love supporting all the local talent Chicago has to offer, and we encourage you to do so too. With love, from Chicago.